Tackling South Korea’s deteriorating air pollution is an urgent issue for the new administration in Seoul. However, there are no quick-fix solutions to the problem. In this Policy Brief, Woosuk Jung identifies the need for a committed long-term approach in South Korea’s energy and environmental policy, as well as more effective coordination with regional countries, especially China. On May 15, just five days after taking office, South Korea’s new president, Moon Jae-in, signed an order to implement urgent measures to tackle the country’s severe air pollution problem, in particular the high levels of fine dust (also referred to as particulate matter), from which the country has long suffered. That the president has moved quickly to tackle the issue reflects the growing concern among South Korean’s over the deteriorating air quality. The problem is apparent: according to the 2016 Environmental Performance Index (EPI), compiled by Yale and Columbia universities in collaboration with the World Economic Forum, South Korea ranks a lowly 173rd out of 180 countries in terms of air quality. Furthermore, as widely reported in the international media, using statistics from ‘airvisual’ which tracks air pollution levels, one week in March this year saw three South Korean cities rank in the top ten of world cities worst affected by air pollution. Designated as a group 1 carcinogen by the World Health Organization causing respiratory and cardiovascular diseases, the Organization for Economic Co-operation and Development (OECD) estimated that outdoor air pollution was responsible for 359 premature deaths per million people in 2010 in South Korea. This number is expected to triple to more than 1,100 per million people by 2060 – one of the highest levels among OECD countries – unless mitigation efforts are successful. But, while President Moon has taken initial measures to address the problem, as explored below, expectations for quick-fix solutions need to be tempered by the need for a comprehensive regional-based approach, which includes China. Currently, there are 10 coal-fired power plants throughout South Korea. President Moon has now temporarily closed 8 of these and plans to permanently close all of them during his 5-year term. Furthermore, Moon has also promised to phase-out and eventually ban all diesel vehicles (excluding trucks) by 2030, which are estimated to be responsible for 29 percent of PM2.5 (inhalable particulate matters that deeply penetrate the lungs) in the Seoul metropolitan area. This action has been welcomed by both the public and the media. These actions are in stark contrast to the previous Park administration, which appeared industry-friendly and was hesitant to take direct measures to curb emissions from coal-fired plants. It is expected that the Moon administration will seek to reverse the trend whereby the share of coal in the country’s energy mix had increased from 30 to around 40 percent between 2005 and 2014. It remains unclear, however, the extent to which Moon’s immediate measures will mitigate the problem. Some experts have posited that the temporary shutdown of plants will only serve to reduce particulate matter emissions by 1-2 percent. In any case, shifting South Korea’s energy base towards renewables will obviously be a long term endeavor requiring changes across the board including the reduction of emissions from the energy industry, manufacturing, and transport. Notwithstanding, curbing domestic emissions, and further complicating the issue, is that a considerable amount of fine dust originates from neighboring states, in particular China. According to an estimate announced by South Korea’s environment ministry, China’s contribution in PM10, particulate matters with ten micrometers or less in size, ranges from 30 to 50 percent on average, but can reach up to 80 percent on the haziest days. China is taking measures to tackle its own severe air pollution problem. Correspondingly, it is planning to invest more than $360 billion in renewable energy by 2020 including in solar, wind, and hydropower. Nevertheless, China’s economy will be dependent on fossil fuels for the foreseeable future. According to its energy strategy in the 13th Five-Year Plan from 2016-2020, as much as 200 gigawatts of coal energy – equivalent to around 400 coal-powered generators – will be added to its energy portfolio (coal currently accounts for 900 gigawatts of energy). This could diminish South Korea’s domestic efforts towards better air quality. China’s demographics and rapidly growing economy has a disproportionate share of the regional burden. This means it is not likely to begin to share information on the sources of air pollutants such as factories and power plants. While scientific data has been gathered over almost two decades as part of the Long-range Transboundary Air Pollutants (LTP) project – a joint monitoring initiative between China, Japan, and South Korea – its data is not conclusive enough to be used as a basis for bilateral or multilateral negotiations. Thus, while China had admitted that its air pollutants have transboundary impacts, it has not given official credence to LTP data. As long as the precise magnitude of transboundary air pollutants remains debatable, any unilateral or cooperative efforts to tackle the issue will be hampered. Complicating diplomatic efforts are tensions in Sino-South Korean relations over THAAD, a U.S. missile defense system recently deployed in South Korea. Beijing has taken retaliatory measures against Seoul, including targeting Korean businesses in China. Even though President Moon has adopted a flexible position on THAAD, the issue thwarts constructive dialogue on the environmental agenda. It is clear that in the long-term South Korea’s situation concerning air pollution is untenable. In spite of the public outcry for quick results, the prospects for substantive improvement in the short-term are limited due to the enormous changes that are required. The problem is one of both domestic energy and environmental policy as well as a regional one requiring multilateral diplomacy and coordination. First, the South Korean government needs to better inform the public and dilute any expectations that quick-fix solutions exist. Press reports which cite unverified research by industry and academia have led to the convenient misunderstanding that China bears full responsibility for the situation. As a result, there has been resistance to strengthen domestic air control policy, such as increasing the diesel fuel tax. It, therefore, should be understood that initial efforts would be put on domestic management on the emission of air pollutants. Second, a comprehensive policy which includes air pollution, climate change and energy strategy is needed. President Moon’s plan to establish a presidential committee with oversight over each ministry’s policies concerning air pollution and energy supply deserves praise as a more thorough approach. However, South Korea is also in need of a long-term strategy and a roadmap. This has hitherto been slowed by changes in government and shifting priorities. For instance, President Lee Myung-bak’s “Green Growth Policy” – a flagship policy aimed at achieving a carbon-free society – was de facto jettisoned by his successor, President Park Geun-hye. Sweden could be an instructive example to South Korea of elevating the issue beyond party politics. While establishing its long-term energy policy in 2016, Sweden’s five main political parties agreed on the ambitious 100 percent renewable energy target in electricity production by 2040. South Korea’s current target of 20.1 percent by 2029 is not only unambitious, but also subject to changeability depending on the administration in power. The transboundary nature of air pollution necessitates a multilateral approach. All countries in the region, including China itself, suffer from the consequences. Air pollution needs to be integrated as part of an overarching approach within the framework of climate change and energy security. Regional policy options could include launching a regional greenhouse gas emission trading scheme which could be extended to major air pollutants, such as sulfur oxides and nitrogen oxide which are precursors of fine dust. It could also include the construction of electrical grids across borders, similar to those in Europe, to meet energy demand and lessen the dependence on coal. Regarding air management more specifically, there is a need to establish a regional convention that, ideally would function independently of political and security-related conflicts between states in the region. A sound example to take note of is the Convention on the Long-Range Transboundary Air Pollution (CLRTAP) in Europe and North America, the initial members of which included both the Soviet Union and the United States during the Cold War. 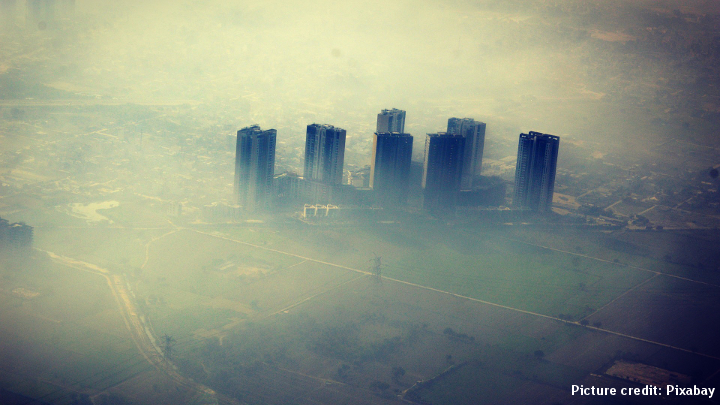 Furthermore, a multipartite framework for air pollution management should be a binding one. While bodies such as the North-East Asian Sub-regional Programme for Environmental Cooperation (NEASPEC) have been established, outcomes have been modest, their effectiveness fettered by a lack of binding regulations. The example of CLRTAP is again instructive: allotting binding reduction targets for its member states has resulted in a significant improvement in air pollution levels in Europe: levels of sulfur dioxide (SO2) and nitrogen oxides (NO2) abated 92 and 41 percent respectively between 1990 to 2012, while PM10 was reduced by 29 percent between 2002 to 2012. Any such convention and setting of targets cannot function effectively, however, without rigorous scientific quantification and political consensus over results. There is therefore the need for a permanent official scientific body. This should be attended by member states’ governmental research institutes and expert groups from the private sector. Joint collaboration should extend from monitoring of transboundary air pollutants to sharing more precise information – that is, accurate data on emissions from different sources – and, through this, producing a source-effect analysis agreed by member states. Tackling South Korea’s air pollution problem means it needs to confront the issue at multiple levels. President Moon’s initial domestic steps are in the right direction of what will most certainly be a long path. Yet, unless effective regional cooperation including China is also realized, a significant attenuation in air pollution levels cannot be expected. Accordingly, one of South Korea’s biggest, and potentially most sensitive, challenges will also entail sustained diplomatic efforts. 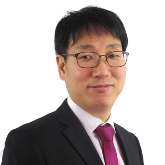 Woosuk Jung is a South Korean guest researcher at ISDP. The views expressed here are in a private capacity.